Early days of the May Hole celebration on May Day. 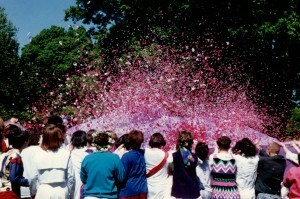 Photograph courtesy of Deb Rowan, Class of 1990. 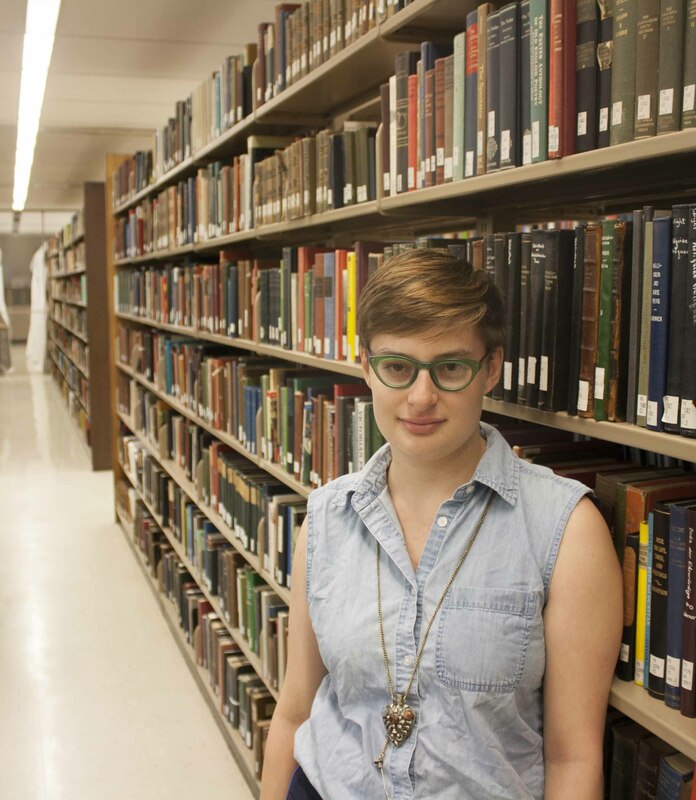 Over the summer, Tri-Co Digital Humanities Initiative intern Brenna Levitin (Class of 2016) began new research into histories of LGBT individuals and communities on campus. 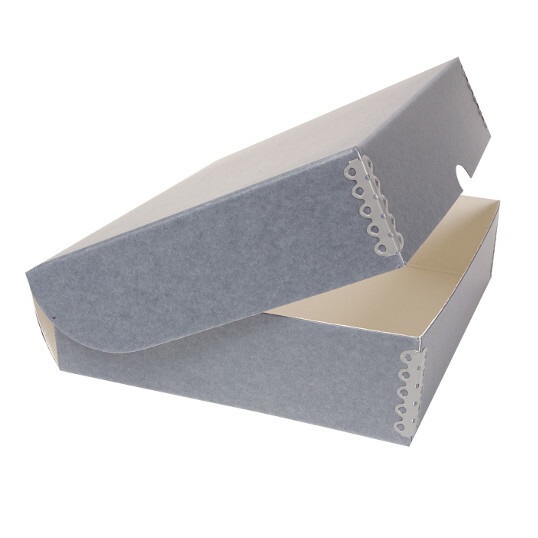 What started as a simple question — do materials exist in the Bryn Mawr College Archives to document LGBT life? 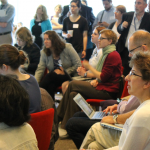 — led us to new donations from alumnae/i and a rethinking of our digital tools. “We Are/We Have Always Been” uses college newspapers, ephemera, photographs, oral histories, and informal interviews to show pieces of a fragmented history that continues to develop in the present day. In doing so, it highlights the multi-linear nature of the narratives that make up personal and institutional memory. Brenna Levitin, Class of 2016. Brenna’s project departs from the form of past exhibits published by the Greenfield Digital Center in that it is built on a platform called Scalar, rather than Omeka. 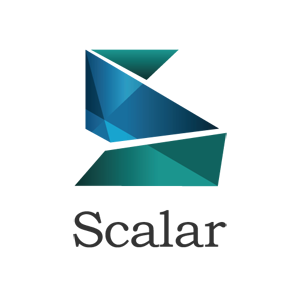 With its flexible approach to narrative, Scalar allowed Brenna to situate parts of the story within and beside one another, in addition to traditional sequential relationships. 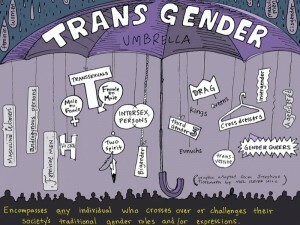 Brenna’s documentation of this work, including her summer blog posts, lives on as a broader reflection on process; Greenfield Digital Center Assistant Director Evan McGonagill also considered how we might begin to think about the “T” in LGBT histories, particularly in the women’s college context. 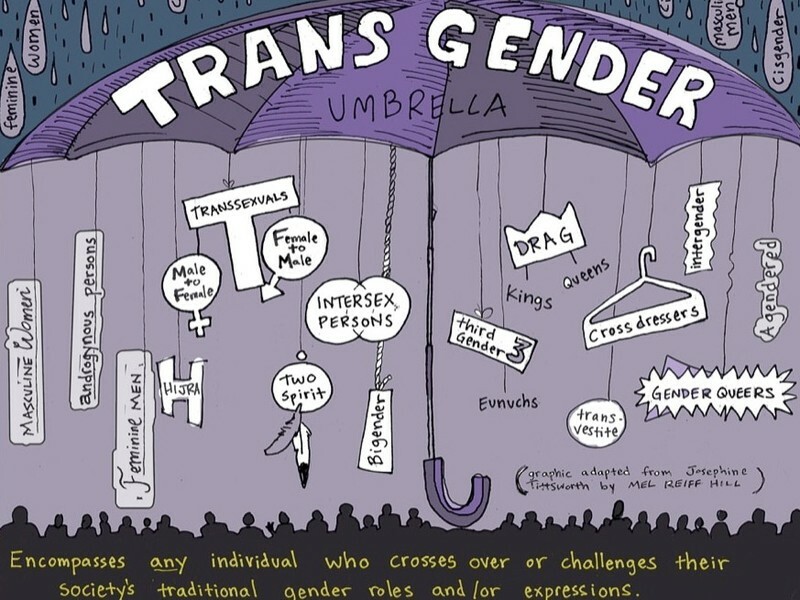 We also encourage readers to visit “History of Gender Identity and Expression at Bryn Mawr College,” created by Pensby Center summer intern Emmett Binkowski (Class of 2016) to recognize Mawrters with diverse gender identities. Along with the digital exhibit “A Point of Difference” — recently completed by Alexis De La Rosa (Class of 2015) and Lauren Footman (Class of 2014) to document histories of students and staff of color — these projects reflect the Greenfield Digital Center’s commitment to research that tackles the diverse and challenging histories of Bryn Mawr College and its many communities. 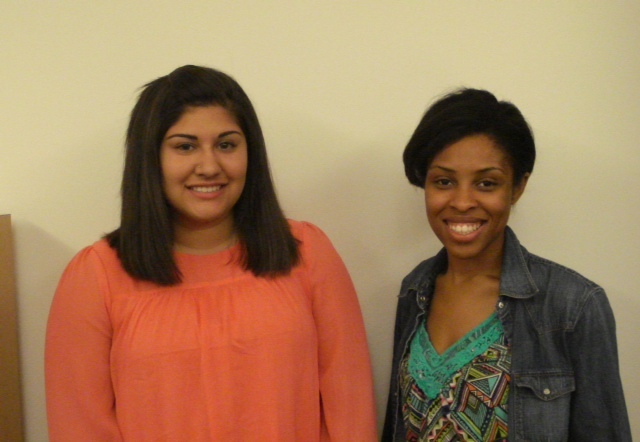 Brenna will return to the Greenfield Digital Center in Spring 2015 through Bryn Mawr’s Praxis program, which will provide an opportunity for her to continue pursuing oral history interviews with alumnae/i and community members. Comments? Questions? We welcome your thoughts below, or via email to greenfieldhwe@brynmawr.edu. 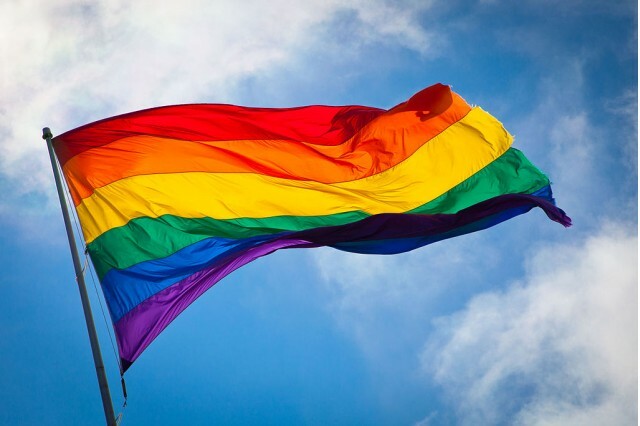 Since May, Brenna Levitin, the Greenfield Digital Center’s TriCo DH summer intern, has been hard at work tracking down the histories of LGBT individuals and communities at Bryn Mawr between 1970-2000. 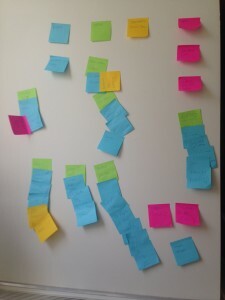 To catch up with her work, read Brenna’s thoughts on one of her first finds, her consideration of silence in the archives, and her approaches to using digital tools to address the silence, including reflections on making the Digital Center’s first Scalar project. We look forward to launching Brenna’s project, We Are/We Have Always Been, next week–stay tuned! Let’s hear it for victories! 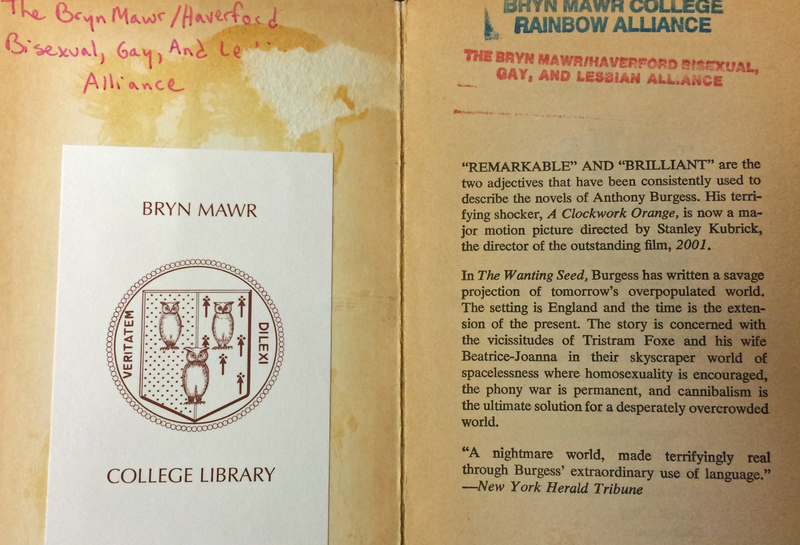 Although much of the past four months has been spent sighing over a lack of LGBT archival material, I recently had a great realization which partially solved the mystery of the disappearance of Bryn Mawr’s BGALA Center Library. I first heard about this mystery from Robin Bernstein, Class of 1991, the creator of the library and its first keeper. She told me about how she painstakingly shaped it over three years, only to have it disappear a few years after she graduated. She mourned the multi-hundred-volume library for years, until, to our excitement, I physically ran into the collection in Canaday Library a few weeks ago! Here’s a short retelling of the library’s saga. BGALA Library stamp, as seen in Lesbian Plays (New York: Methuen, 1987-1989), Canaday Library Rainbow Alliance & Women’s Center Collection, PR 1259.L47 L4 1987 v.2. 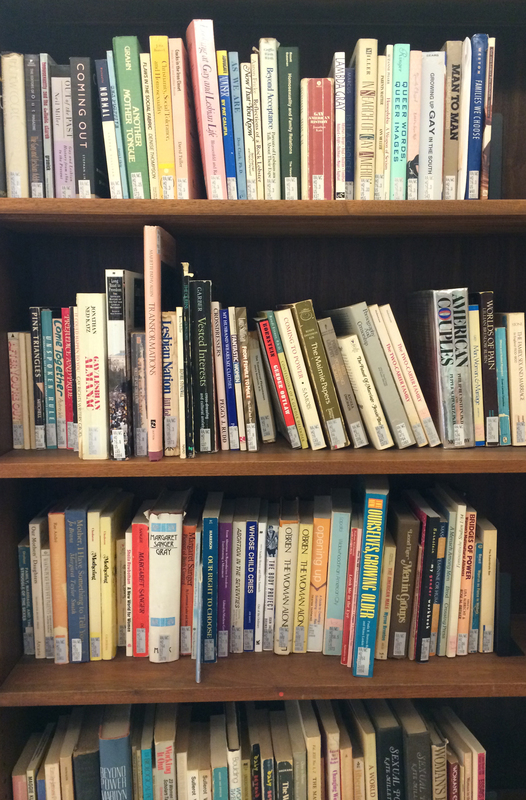 Bernstein lovingly curated the library for the next three years, watching as it grew with each year’s funds. By the end of her senior year, the library contained over 1,000 books, audiotapes, and magazines. The summer after Bernstein’s graduation in 1991, the books were removed from the BGALA Center and relocated to a room in the Denbigh dormitory. Previously, the BGALA library was unstaffed, functioned on the honor system, and was heavily used. After their move, no one knew where to find the books, and so they saw less use as the years went on. After approximately 1993, institutional memory fails to recall where the books lived. In fact, Bernstein and I believed the books to still be missing when I found them, by chance, living in Canaday Library as an official collection. By working backwards and talking to library staff, I was able to piece together part of their journey post-Denbigh. Layers of library history, as seen in Anthony Burgess, The Wanting Seed (New York: Ballantine Books, 1964), Canaday Library Rainbow Alliance & Women’s Center Collection, PR 6052.U638. The next time that anyone saw the BGALA books was in 2003, when members of the Rainbow Alliance came to then-Coordinator for Information Acquisition and Delivery, Berry Chamness, in Canaday to ask for help. The Rainbow Alliance (the new name for BGALA) was losing the space where they stored the library, and wondered what to do to save the books and keep them accessible. 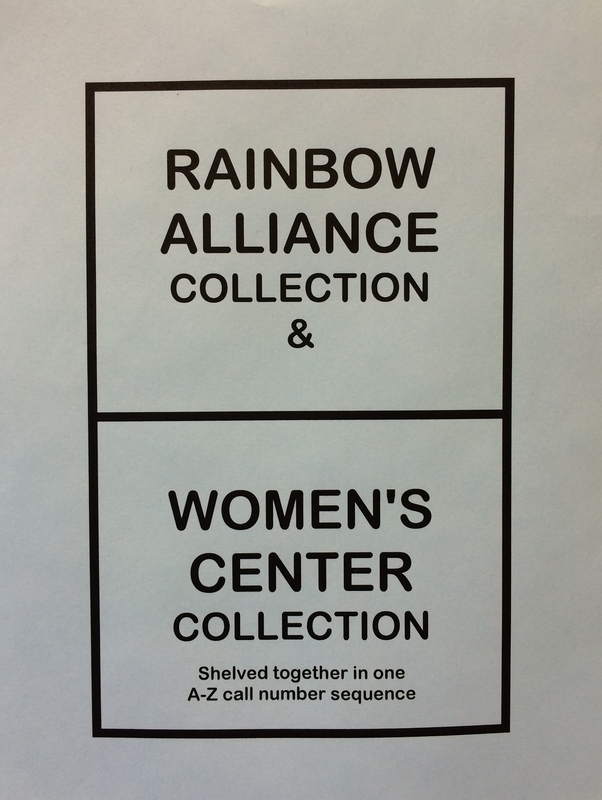 Since Fall 2004, what is now known as the Rainbow Alliance/Women’s Center Collection has lived as a discreet collection in Canaday Library, and can be found on the shelf closest to Quita’s Corner by the back window on the first floor. 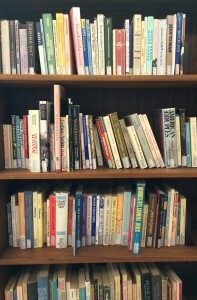 The Rainbow Alliance & Women’s Center Collection is now catalogued in TriPod and shelved on the first floor of Canaday. I’ve put together the history above from personal accounts and some library sleuthing, but there are still pieces missing from the puzzle. What happened to the books between 1992 and 2003? Were BiCo students aware of the books as a resource, and who was responsible for them? If you have a piece to add to the puzzle, please email greenfieldhwe@brynmawr.edu or comment below! I’d also love to hear from anyone who remembers the library in any of its incarnations. 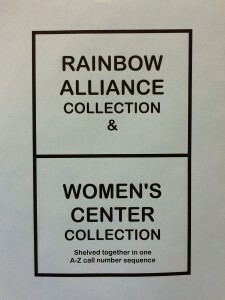 Interested in the Rainbow Alliance/Women’s Center Collection holdings? 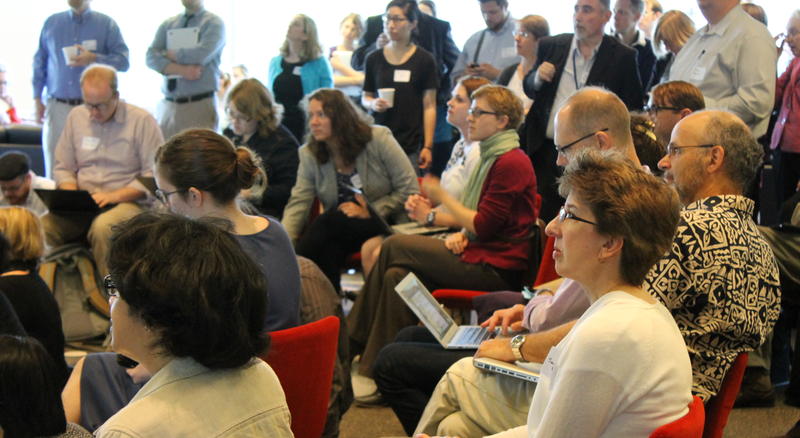 We’ll be sharing our favorite books on the Greenfield Digital Center tumblr this fall! 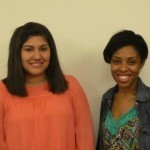 Monica Mercado arrived in July and immediately hit the ground running. Already she has been through new faculty orientation, CLIR training, an ArcGIS workshop, and more—and somehow found time to return to the University of Chicago to graduate with her PhD in August. 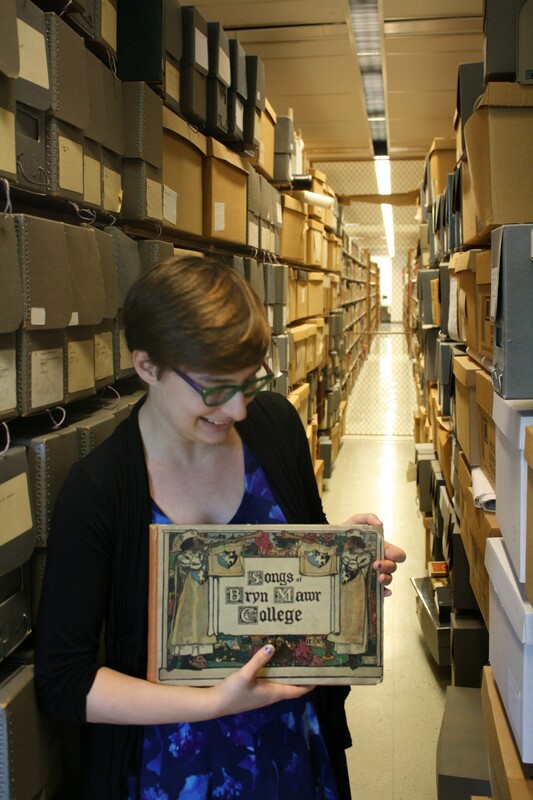 This piece originally appeared on the blog of the Tri-Co Digital Humanities Initiative, who have sponsored Brenna Levitin (BMC ’16) as our intern this summer. 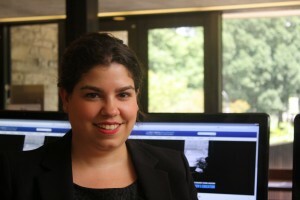 In addition to the two posts she has published on the Tri-Co DH site, Brenna has published regular updates on this blog. 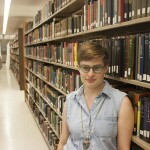 To catch up with her summer work, read her thoughts on a find in the 1989 Alumnae Bulletin, her consideration of silence in the archives, and her approach to using digital tools to address the silence. When I last wrote, I optimistically assumed that July would be for oral histories and August would be for creating the exhibit. In reality, oral history work has bled over into August, and I’ve actually been building the exhibit since mid-July. I also described the analog/digital split in my project, which has evolved; as August has worn on, I’ve simultaneously handled our first donations of alumnae/i materials (flyers, photos, etc) while drafting the actual pages of the exhibit.